American Toppers is more than just an automotive accessory dealer carrying the top brands for truck, SUV, and jeep aftermarket parts. They are also responsible for Line-X, the nation’s #1 spray-on bedliner franchise. It became apparent that they needed a one stop solution that could achieve multiple goals the company had for their online presence. 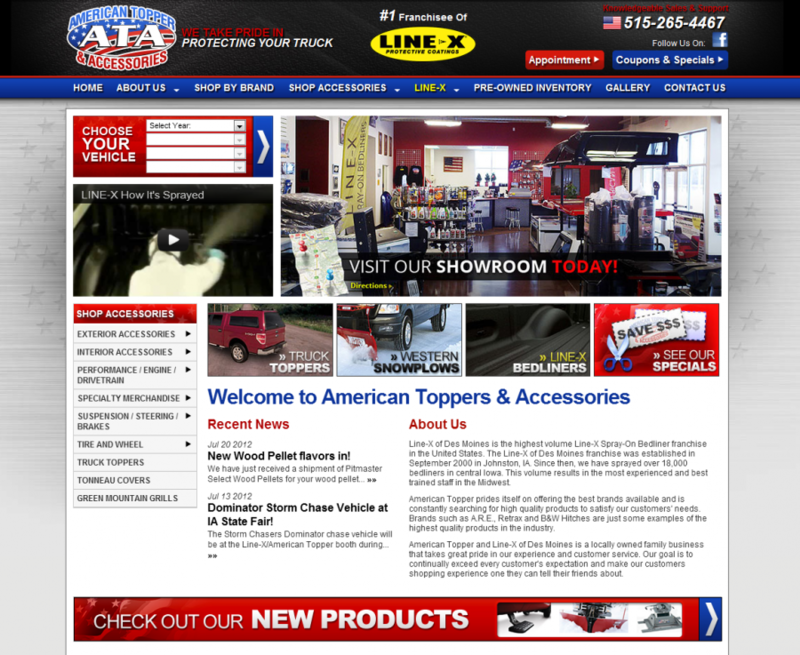 When American Toppers found that an eStore Local website powered by Catalog Rack from DCi could simultaneously provide visitors with a way to browse their extensive selection of automotive aftermarket parts, and promote their Line-X brand while driving local traffic, they were sold. Combine this with the fully functional year make model lookup feature that comes standard and allows visitors to browse their complete inventory quickly and with ease, and American Toppers was on their way to gaining exposure and driving foot traffic to their automotive parts shop.